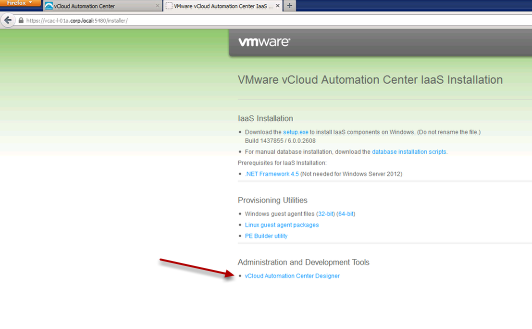 So now it is week 2 and you feel like you are getting familiar with the new vCloud Automation Center 6. Now you want to explore some advanced functionality of the product and build your own custom deployment workflows using design center. As you may remember in vCAC 5.2 VMware introduced a feature that allows you to call vCO workflows as part of a workflow stub in design center. This allows customers to leverage the vast partner network of plug-ins as well as any custom workflows they may have written. 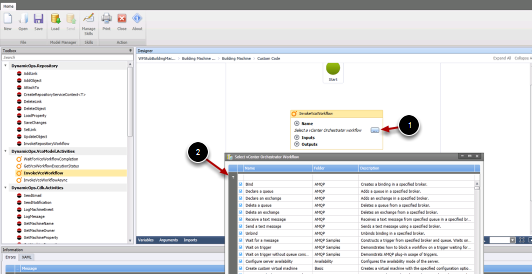 Since vCAC ships with vCO already built in, why not use that as your vCO endpoint with design center? Note: This is most likely for POC and evaluation purposes. Remember when configuring the design center you need to point it towards the Windows IaaS server not the appliance. 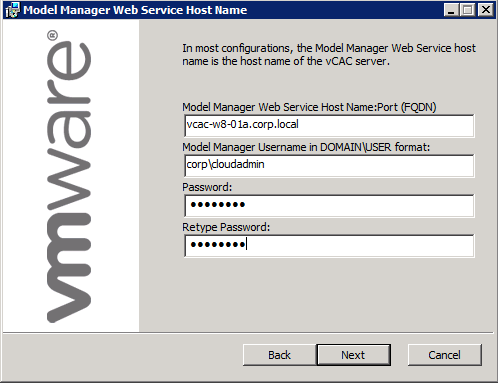 Enter the FQDN of the vCAC Appliance. Example: host:8281/vco like shown. 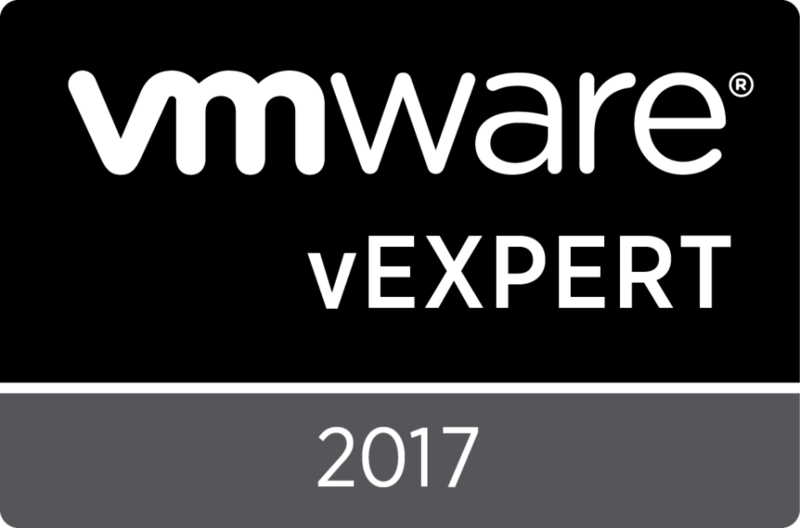 Note: the /vco Also note that the credentials are administrator@vsphere.local and the password you configured during the Identity appliance configuration. Your now working with the vCO embedded server that ships with the vCAC appliance! Enjoy! Special thanx to Alex Ciunciusky @alexbhp for the help with this one! This entry was posted in Expert, vCAC 6, vCO and tagged Design center, vCAC 6, vCO by Ryan Kelly. Bookmark the permalink. I tried to install the VCAC design center and poitn to my IAAS box but it keeps failing. Are we supposed to use a certain type of credential? Do you know what could cause this? Documentation on this product is quite confusing. I have the same problem! Any suggestion? It could be a certificate problem on the IaaS box. During the installation of the IaaS components you need to specify the Windows server as the FQDN as it is registered in DNS not the AD name. So for example it would need to be vcac-w8-01a.corp.local where corp.local is you DNS suffix and not vcac-w8-01a.corp.com where corp.com is your AD domian. This will cause a mismatch on the self signed cert and Design center will not load or install properly.